At the summit meeting on June 12, 2018, the US and North Korea had agreed to “denuclearize the Korean Peninsula”; however, North Korea has yet to demonstrate its action to abandon its nuclear weapons. While denuclearization of North Korea is one of the popular new topics and we are often blinded by idealism by which disarmament and denuclearization can be achieved, we once again need to think about concrete processes to realize denuclearization. In addition, we need to realize that realistic thought and understanding of military and weapons are necessary to promote that process. 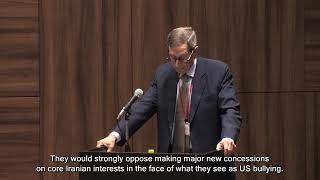 On October 2, 2018, the Sasakawa Peace Foundation organized the open forum and invited the following experts to discuss what is necessary to realize North Korean denuclearization in light of US experiences on the Iranian denuclearization agreement. On October 1, the Sasakawa Peace Foundation hosted Mr. Richard Fontaine, President of the Center for a New American Security (CNAS). Having two Japanese experts; Mr. Hiroki Sugita from Kyodo News as a moderator, and Prof. Ryo Sahashi from Kanagawa University as a commentator, we explored those critical question for the region, and Japan-U.S. relations. 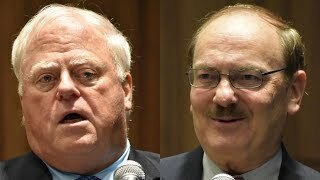 On August 28, the Sasakawa Peace Foundation hosted Prof. James G. McGann of University of Pennsylvania and Prof. Kent E. Calder of Johns Hopkins University. Prof. McGann is a leading expert of think tanks studies, researching not only think tanks in the United States but also in many other countries. 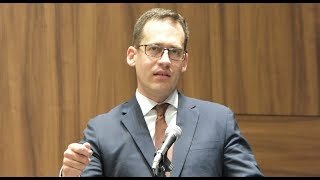 His annual “Global Go To Think Tank Index Report” (Pennsylvania University), which examines more than 6,000 think tanks in the world, has been receiving greater attention through the world now, and he has also just published his new book Think Tanks, Foreign Policy and the Emerging Powers (Palgrave Macmillan, 2018). Prof. Calder is a well-known expert on Japanese politics and International Political Economy. He also has published a lot of books including Asia in Washington (Brookings Institution Press, 2014), and also has been involved in many projects of think tanks both in the United States and Japan. In the rapidly changing world environment and United States, what will be the role of the think tanks for the future, what will be the necessary changes to tackle with the new challenges, Prof. McGann and Prof. Calder discussed from a broader perspective including the future Japan-U.S. relations and the role of Japan. 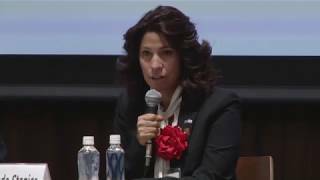 The Sasakawa Peace Foundation held a public panel discussion on July 17, 2018. 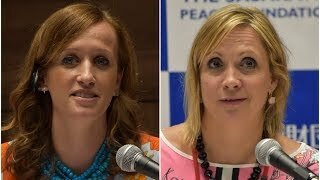 Ms. Jessica N. Grounds and Ms. Kristin Haffert, Co-founders of Mine the Gap from the United States, a prominent consultant company specializes in supporting gender-inclusive environment, attended the discussion and shared their views and experiences. With this background, we discussed the impact of such women’s movement in politics in the era of Trump, and necessary actions that could promote gender equality in political sphere. 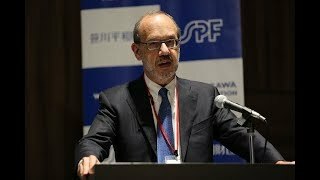 Dr. Aaron L. Friedberg, "The Authoritarian Challenge: China, Russia and the Threat to the Liberal International Order"
The Sasakawa Peace Foundation organized a public seminar featuring Dr. Aaron L. Friedberg, Professor of Politics and International Affairs, Woodrow Wilson School of Public & International Affairs, Princeton University on November 1, 2017. Professor Friedberg is a distinguished scholar in international politics who served as a Deputy Assistant for National Security Affairs in the Office of the Vice President from 2003 to 2005. He has published a lot of books and papers, including Beyond Air–Sea Battle: The Debate Over US Military Strategy in Asia (Adelphi series, 2014), and A Contest for Supremacy: China, America, and the Struggle for Mastery in Asia (Norton, 2011). Recently, He also contributed a special monograph for the SPF entitled “The Authoritarian Challenge: China, Russia and the Threat to the Liberal International Order”. *　In this monograph, he examines the deeply rooted factors driving China and Russia to adopt aggressive policies challenging the existing international order and western values, including the resentment, ambition and insecurity of their regimes. In the course of the seminar, based on the argument of his monograph, Professor Friedberg llustrated the strategies both authoritarian countries have taken in order to survive and preserve their political power, and the implications for the United States and Japan. * Under the Japan-U.S. Program, the SPF has published a series of special monographs, inviting the distinguished scholars and experts who have been cooperating on various projects of our program as authors. This series aims to raise awareness a wide range of academic and policy topics important to Japan-U.S. relations. PDF file of Professor Friedberg’s monograph is available on our website. On the October 5th, the Sasakawa Peace Foundation and the U.S.-Japan Council hosted a panel discussion with six distinguished Asian American state legislators from diverse backgrounds who were participating in the 2017 Asian American Leadership Delegation (AALD) program. The AALD program is funded by the Sasakawa Peace Foundation and implemented by the U.S.-Japan Council, with support from the National Asian Pacific American Caucus of State Legislators. During the panel discussion, which was moderated by renowned journalist Aiko Doden, delegates talked about their respective political and personal journeys in the United States. Many of the delegates this year have followed non-traditional paths, choosing to become a politician after pursuing different careers. The audience had the opportunity to learn about their personal choices, as well as the important role Asian American politicians play in their political arenas, especially in light of current events. The speakers also reflected upon their week-long experience in Japan. 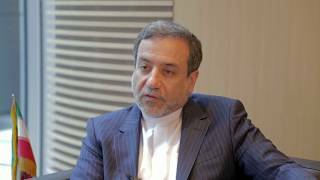 Dr. Seyed Abbas Araghchi contributed significantly to the establishment of Japan - Iran relations as the Ambassador to Japan from 2007 to 2011. In his recent visit to Japan as the Deputy Foreign Minister of the Islamic Republic of Iran, he held energetic talks with Japan's political and economic leaders. Despite his busy schedule, he kindly accepted our request for an interview. Jakarta is one of the world's mega cities with the population of ten million. 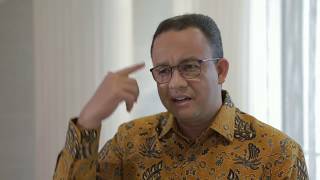 We interviewed Dr. Anies Baswedan, who is set to become the Governor of on 16th October 2017. At the age of 38, he became Indonesia's youngest-ever University Rector. He then went on to serve as the Minister of Education and Culture for two years from 2014 to 2016 under the current government led by President Joko Widodo. We asked him his hopes and ambitions about building a closer cooperative tie between Jakarta and its sister city, Tokyo, and tackling various challenges the city faces as the new Governor of Jakarta. Northeast India including the State of Nagaland is home to some 400 ethnic groups, and Nagaland shares its borders with Myanmar, China, Bhutan, Nepal and Bangladesh. It has fostered unique cultures and customs despite adverse turns of history. We interviewed Nagaland's prominent peace activist, Mr. Niketu Iralu, whose calm demeanor reflects his in-depth wisdom and resilient strength, developed through overcoming numerous hardships. "A View From The Pacific" by Admiral Harry B. HARRIS, Jr.
Admiral Harris is the 24th Commander since the USPACOM was established in 1947. He was born in Japan and reared in Tennessee and Florida. Following graduation from the U.S. Naval Academy in 1978, he started designation as a naval flight officer (NFO). 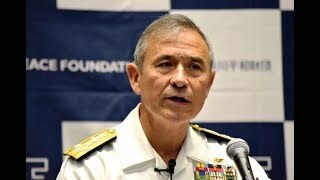 He commanded Joint Task Force-Guantanamo, the U.S. 6th Fleet, Striking and Support Forces NATO, and the U.S. Pacific Fleet, and has served in every geographic combatant command region.His graduate education focused on East Asia security. He attended Harvard's Kennedy School of Government, Georgetown's School of Foreign Service, and Oxford University. He was also a MIT Seminar 21 fellow.